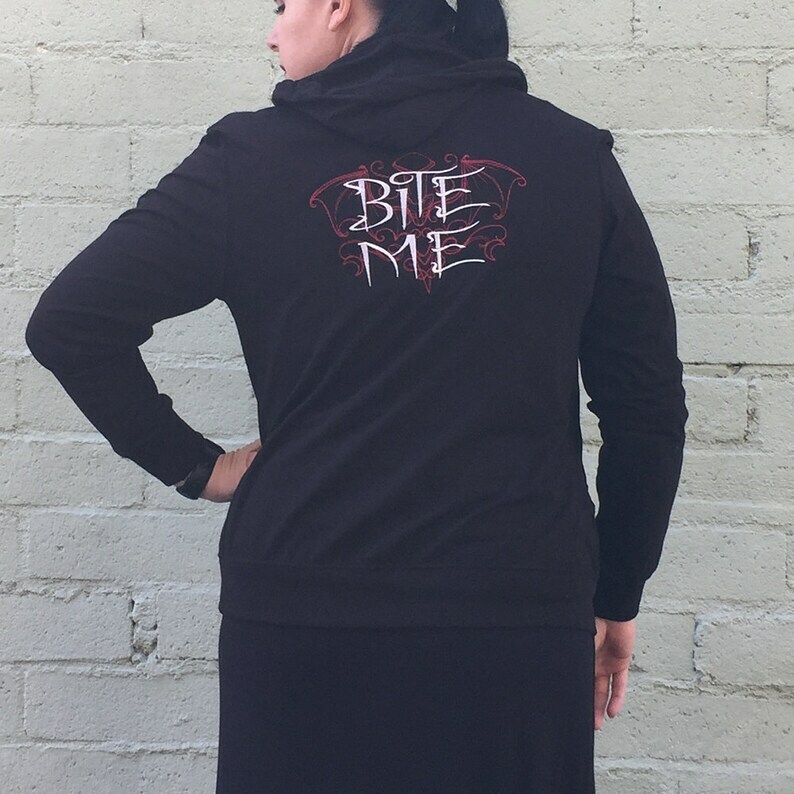 Lightweight black zip hoodie sweater with a spooky little attitude. This Bite Me sweater is light enough to wear on warmer days when you want to cover up or on those slightly chilly days when you need an extra light layer. 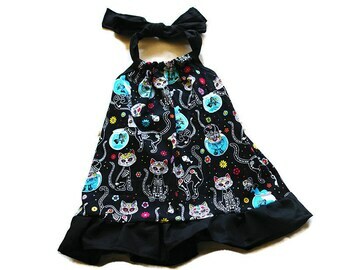 These are ready to ship and are shipped within 1-2 business days (unless otherwise noted in shop announcement. Thread color may vary slightly depending on screen resolution. If you like a different color thread please send me a message before purchasing.